They did a wonderful job on my dress and veil. I had them boxed separately and it looks fabulous. I love displaying it and showing it off. It looks like a masterpiece. I also love having the confidence that my dress with stay beautiful and in good condition considering how much it cost. Pinstripes might be a little pricey but they are worth every penny. They have great customer service, did a great job, didn't take long, and they pick up and drop off right at your door. What more could you ask for. I highly recommend them to anyone who needs a stain removed or loves there dress so much they want it to stay in perfect condition forever and ever. 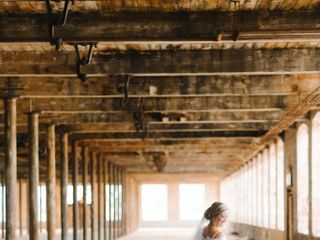 After bridal pictures at a Cotton Mill, my daughter's dresses were dirty. Pinstripes saved the day - cleaning them perfectly before the wedding and then picking them up after to clean and preserve! They came to my house and picked up and were able to deliver all clean and pressed in perfect time! Loved using Pinstripes to clean my wedding gown! The price was very reasonable, and they are so accommodating. Bill was so easy to get in touch with, whether it was phone or email. He also scheduled pick-up/dropoff at times that were convenient for me. I love that he comes straight to your door instead of me having to go to a brick & mortar store. The convenience alone is well worth it. Pinstripes was so easy to work with! They responded quickly and even picked up / delivered my gown for me! 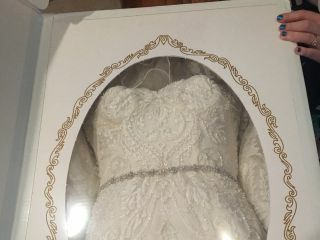 When my preserved gown was delivered it looked so beautiful and it was nice remembering my wedding again through it. Great service. Great before and after picture which helps reassure your preserved dress is indeed clean and stains removed. More than I would have liked to spend but they are local, handle your dress personally(no shipping it away somewhere else), they even pick it up and drop it back off at your residence. I would highly recommend. After reading all the amazing reviews about Pinstripes, there was no other place I trusted to take my dress for cleaning and preservation. I gave them a call and they were able to give me an accurate quote based off the questions I answered which was nice. I called around to other places who gave me comparable quotes. I also liked how they come to your house to pickup the dress and drop it off once it’s finished! They did an amazing job and it’s beautifully presented in the box. Thank you Pinstripes! Bill and his team were absolutely amazing. 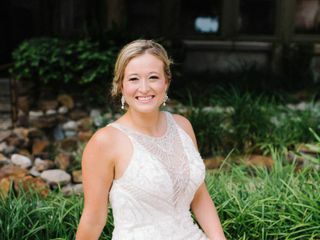 My dress was saved from a house fire (two months before my wedding) and had severe smoke smell (thankfully no other damage). By the time I got my dress back you couldn’t even smell the smoke! Thank you Bill and the rest of the staff at Pinstripes for saving my wedding dress!!!! Their customer service is what really sold me on their service. I left a message one night while researching places to take my dress for cleaning, expecting a call back the next day during business hours. Bill called me back almost immediately, explained everything thoroughly, and I was sold. I was even a little late for my scheduled pick-up time, and they were still so kind. I got my dress back two weeks later, and it looks brand new again! I've already recommended them to a few friends! I couldn't be happier with the service I from Pinstripes. 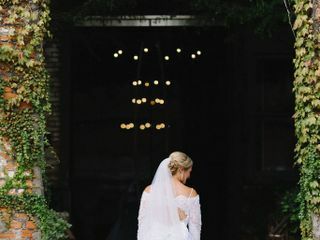 I love that they pick up and drop off the dress, and I have piece of mind knowing my dress will stay persevered and beautiful for many years to come. I would HIGHLY recommend using this vendor. Bill, the owner, was extremely transparent about their services and set proper expectations upfront. He was very responsive and kept me updated throughout the process. He even dropped my dress off with my alterations lady after the dress was finished! So accommodating! Love this local business! What a great experience we had with Pinstripes Cleaning and Restoration! We used them to have my daughter's wedding dress cleaned after her bridal portraits and again after her wedding. They make it so convenient for you because they pick up and drop off the dress at a location and time of your choosing! The representative was extremely professional and responsive when scheduling. I just loved that I did not have to load and unload the dress in my car and try to find a parking spot at a business. 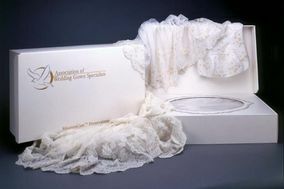 After the wedding we had the dress heirloomed and it was delivered beautifully in a keepsake box. I would highly recommend Pinstripes Cleaning for the convenience and quality. Fabulous job cleaning red wine stain out of my dress! This was such an easy process. Set pick up and they came to get my dress and returned to me quickly! Highly recommended! I'm highly satified with the MuseumCare Preservation that's provided by Pinstripes! Althoughy the service is not cheap, but for the love of my wedding gown, it worth every penny. Bill is very knowledable about the specific care your dress needs. They were so easy to work with - they came to my house and locked in the price of the cleaning and preservation. Once it was preserved and boxed, they delivered it back to me - so easy! They had a quick cleaning turn around time and sent me pictures of the dress once it was cleaned, and it looked great! I highly recommend using Pinstripes, they do a great job! The first thing I did when I got engaged was go dress shopping! If you know me I am a bargain shopper! I found my dress at an amazing boutique during a sample sale. It was one of the lower priced dresses and it was in kind of a bad shape- the chiffon had snags in it and there were stains at the neckline, underarm area, and along the zipper/button area from multiple brides in the past trying it on. I was assured that with alterations and a good cleaning it would look brand new. However I was still worried that I would be wasting my money on this dress in the long run, but it was THE ONE so I couldn't pass it up. I looked for wedding dress cleaners near me and stumbled upon Pinstripes cleaners! I read their reviews and looked at their before and afters of wedding gowns they have restored and there was no way I could pass them up! I gave them a call and we set up a time and place for Erica to pick up my dress. Super easy and convenient! My dress looks brand new and smells good too! 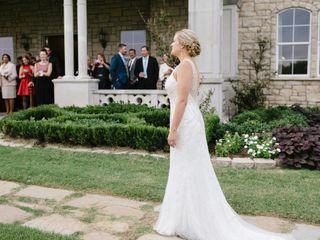 Overall the dress, the alterations, and the cleaning were WAY under the original price of the dress! My wedding is still about 5 months away, but now I have peace of mind knowing that my dress is ready for the big day! They picked up and delivered! Got all stains out from the bust and bottom of the dress and train. Preservation box is beautiful with a display window. The turn around time was less than a month! wow!!! very nice work!! Keep it up! Pinstripes was amazing! They were so friendly and answered all of my questions. It was so convenient that they were able to pick up my dress and then deliver it back to my home. I am so thankful for them that they were able to clean and preserve my dress. I am confident that it will be beautiful for years and years because of Pinstripes! Pinstripes Cleaning and Restoration was recommended to my daughter and me by the person who altered my daughter's wedding dress. 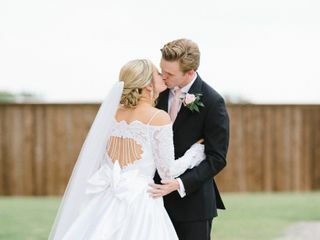 The seamstress said my daughter's beautiful dress deserved the best in preservation service and she was correct, Bill and his team at Pinstripes provided exactly that - the very best in care from the initial contact until the process was complete. We were very happy and would recommend this company without hesitation! Pinstripes did an amazing job at cleaning my wedding dress. The bottom was terribly dirty, and they were able to restore it to as good as new! I was amazed! Customer service was wonderful! They picked up my dress from my home and returned it to me at work. They were very pleasant to work with. I will use them again for any challenging cleaning jobs! Pinstripes Cleaning and Resortation were absolutely fabulous!! They picked up my bridal gown, cleaned it and returned it right before my wedding! 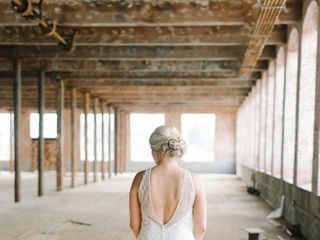 The cleaning was perfect and my dress was spotless on my wedding day! After the wedding they picked up my dress again, preserved it, and brought it back in a box. The whole process was smooth and super easy! I had a wonderful experience and I plan to refer all my friends getting married in the future. Pinstripes is by far the easiest to work with and does a phenomenal job. I first recommended them to a friend who wanted to alter her mother's vail. They were able to clean and restore it to its original color and also altered the length and added in a comb without hurting the material. I had them clean and preserve my wedding gown to keep for years to come, and they came and picked it up from my house and delivered it within a month ready to be stored. I had no hassle or concerns and was so thankful for their pleasant service. I hope to use them in the future for more of my major cleaning needs. Pinstripes did an amazing job with my dress! I only had 2 weeks to get it cleaned and they got the job done. The best part is that they come to you and work with your schedule! They also did a great job preserving it.